Search for 2nd Unit Directors, Stunt Coordinators and other Stunt Professionals for your Film or Television Production! 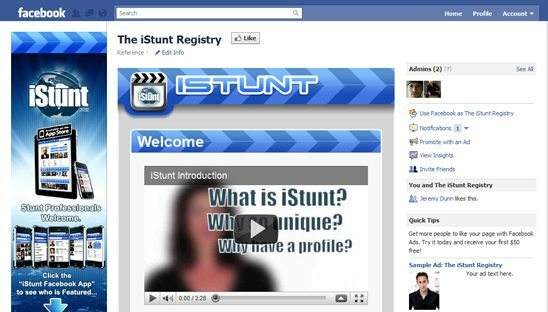 Browse Reels, Photos, Profiles and More in our Professional Stunt Directory! This Social Media Design package included a custom Facebook design, YouTube design and a Myspace design all based on the same branding. The facebook was actually done in FBML and was created 7 months ago but iStunt wasn’t ready for it to be launched until now. The facebook tab and myspace layout have many sections including: featured member of the month, featured action coordinators, flickr slideshow, search box that works directly with the iStunt website, social network icons and much more.